Good morning ladies. I have reviewed, in consultation with the Office staff the Friday lunch-time Tee slots, following our first Medal of the season. 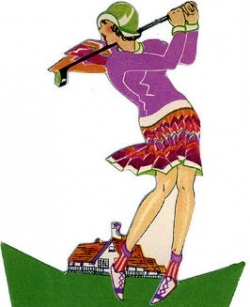 The aim is to avoid any lady member playing at this time, being unduly held up on the course during the Competitions. Following our discussions, the Tee Times listed below have been agreed. The morning and evening slots will remain the same. It should be acknowledged that this is a time consuming exercise, as all the ladies competitions and buffers for each day require to be changed for the whole season. I would state that due to entries having been entered already for the 19th April the tee times will remain as per last week, but players should note there is a buffer from 11.45 am in place, in the short term. The above times will be effective from 26th April. I would also emphasise that once the change is made, we will not be able to change it again, as there are already other fixtures in place. I welcome your understanding of the situation and hope this change benefits all. 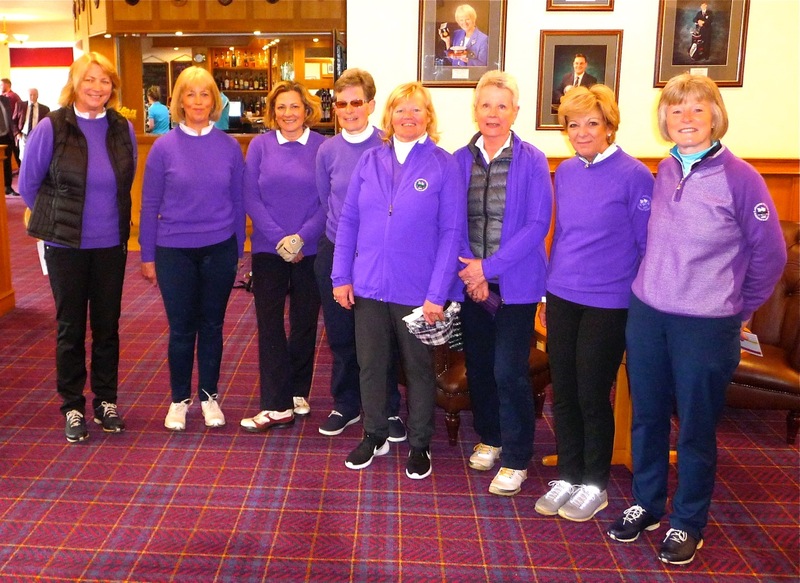 Monday 15th April, saw the commencement of our Friendly Season with a home match against Forfar Ladies. The teams faced a brisk wind which increased as the afternoon progressed and the captain for the day, Linda Rice reports that all were frozen by the time they came in. 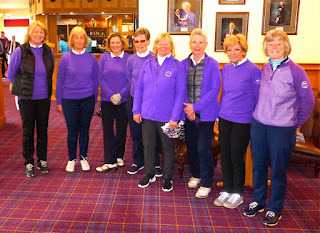 The ladies were announced on to the 1st tee by our starter Bob, a new venture for this season. 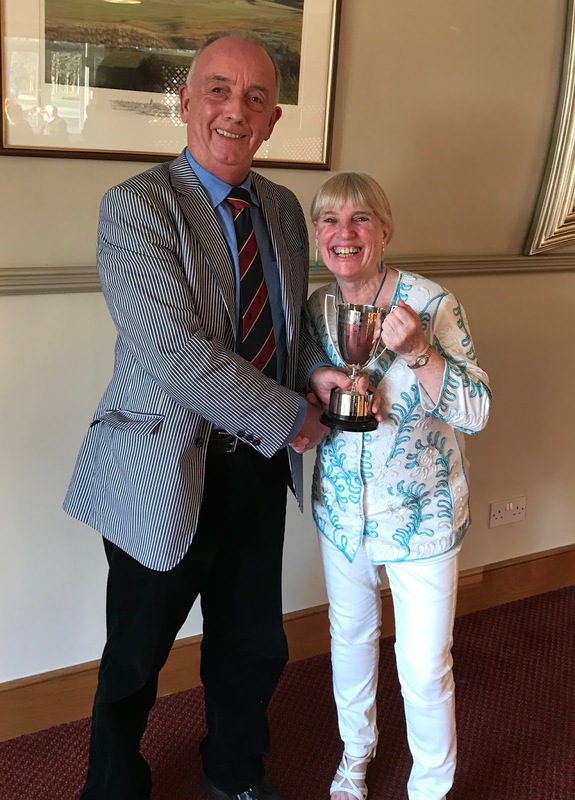 Following the match both teams enjoyed a 2 course meal in the dining-room with Linda Rice giving the vote of thanks on behalf of Blairgowrie. Unfortunately the result was not in our favour, with Forfar winning 3-1, although the teams enjoyed the games. Our next match is on Monday the 22nd April at home against Elie. Please meet at 12.30 in the East Lounge. 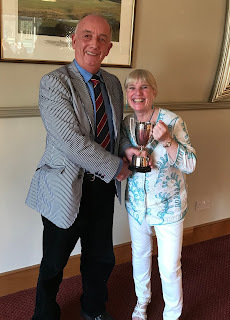 Colin Blues presenting Fiona Johnston Lady Captain with the Columbine Cup. The sun shone today, not only on the course, but in the hearts of the Ladies Team, who recorded their first win since 2015. My game with Colin, Sheila Bruce and Ian Dunbar was a close affair up to the 17th hole, resulting in a win for Colin and Ian, 2-1. Throughout the match Colin proved why he plays off 6, sinking a number of birdies, the longest being on the 14th green. 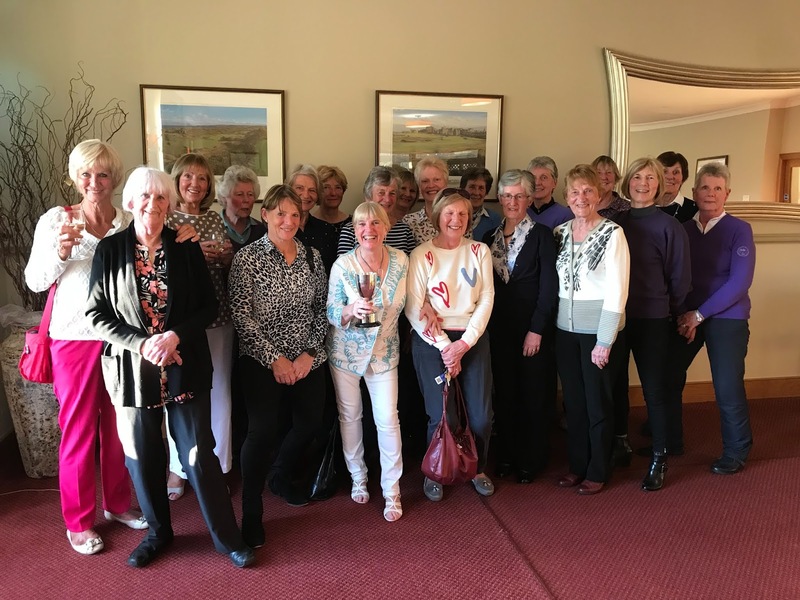 However, as the results began to flow in, it became clear that the ladies had enjoyed their day in the sun, defeating the Senior Gents 7-3. Well done team and thank you for making this a great day for our section. Good afternoon ladies. Tomorrow sees the start of our competitions for the new season and Charles is offering 20% off all clothing from his New Ladies Stock. Please have a look around the shop when you are in collecting your cards tomorrow or after you have played. I am sure there are some great deals to be had and a style that attracts your eye. Please meet at 11.45am. There will be a Sandwich lunch and Meal after the golf in the diningroom, price yet to be confirmed. Ladies, please wear our club jumper for the match. You can change after the match if you so wish. Monies for the meal will be collected at your table during the meal. Handicap details will be given on the day. It would be lovely to have a win this year, so polish up these clubs.